Heinrich Rudolf Hertz (1857 – 1894) was a German physicist who is most famous for his work in the field of electromagnetism. In 1865, Scottish scientist James Maxwell had proposed that light was an electromagnetic wave; and that there existed other electromagnetic waves moving at the speed of light. Many in the scientific community were trying to prove Maxwell’s theory. It was Heinrich Hertz who discovered radio waves and conclusively proved Maxwell’s theory of electromagnetism. His discovery initiated a sequence of events which led to much of our modern communications technology including radio, television, satellite communications and mobile phones. Apart from this, Hertz also discovered the Photoelectric Effect and did pioneering work in the field of Contact Mechanics. Here are 7 major contributions of Heinrich Hertz including his experiments and discoveries. 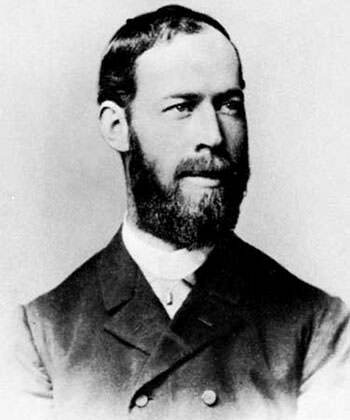 In 1878, at the age of 21, Heinrich Hertz enrolled at the University of Berlin. Here he worked in the laboratories of physicist Hermann von Helmholtz. At this time, Helmholtz was involved in a fierce debate with another scientist Wilhelm Weber over the question: does electricity move with inertia? This question may also be framed as: does electric current have mass? University of Berlin offered a prize to anyone who could solve this question. Helmholtz asked Hertz to work on the problem. After a year of hard work, Hertz demonstrated through a series of experiments that if electric current has any mass it must be incredibly small. It must be kept in mind that at that time the electron had not been yet discovered by J.J. Thompson. For his efforts, Hertz won the gold medal offered by the Berlin University in August 1879. In 1879, Helmholtz asked Hertz to compete for a prize offered by the Berlin Academy for proving experimentally James Clerk Maxwell’s theory of electromagnetism, which predicted the existence of electromagnetic waves moving at the speed of light. However, Hertz declined this project and instead worked on electromagnetic induction. His thesis on induction earned him a doctorate in physics at the age of 23. Then, while working as a lecturer at the University of Kiel, Hertz worked on Maxwell’s equations. This resulted in a highly regarded paper by Hertz which compared Maxwell’s electromagnetic theory with competing theories. He concluded that Maxwell’s theory was the most promising. He also reworked Maxwell’s equations into a more convenient form. In 1886, Hertz decided to take up the challenge of proving Maxwell’s theory by experiment. He devised an oscillator made of two polished brass knobs separated by a tiny gap. He applied high voltage a.c. electricity across the central spark-gap, creating sparks. Hertz reasoned that, if Maxwell was right, these sparks would generate electromagnetic waves. To test this, he made a simple receiver of looped wire. At the ends of the loop were small knobs separated by a tiny gap. 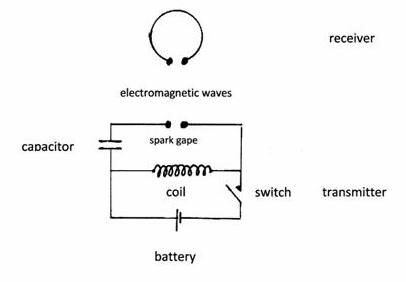 When Hertz turned on the oscillator, sparks in the transmitter produced sparks in the receiver. This was the first controlled transmission and reception of electromagnetic waves. Heinrich Hertz thus discovered radio waves, a type of electromagnetic waves. They were in fact initially known as “Hertzian waves”. Following his discovery of radio waves, Hertz, over the course of three years, conclusively proved the existence of the electromagnetic waves theorized by James Clerk Maxwell’s electromagnetic theory of light. He showed that the energy radiating from his electrical oscillators traveled at the speed to light, could be reflected, refracted, produced interference patterns and produced standing waves; just like light. His experiments thus proved without doubt that radio waves and light waves were part of the same family, which today we call the electromagnetic spectrum. Due to his immense contribution to the field of electromagnetism, the unit of frequency, cycle per second, was named “hertz” in his honor in 1930. Hertz believed that his discoveries were entirely theoretical and would serve no practical purpose. However, the radio waves, first generated by him in 1886, quickly changed the world. 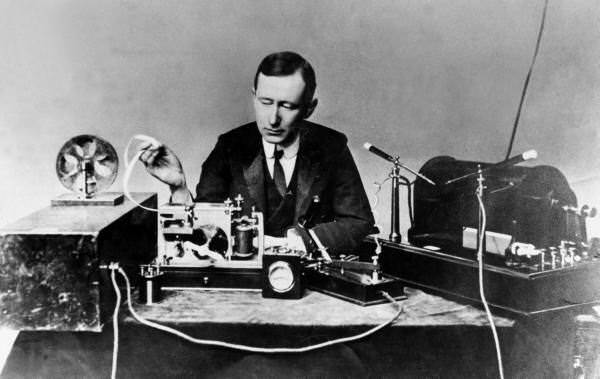 By 1896, Italian scientist Guglielmo Marconi had applied for a patent for wireless communications and, by 1901, he had transmitted a wireless signal across the Atlantic Ocean from Britain to Canada. Hertz’s discovery was the foundation stone for much of our modern communications technology including radio, television, satellite communications and mobile phones. It also transformed the science of astronomy. Radio astronomy has allowed us to “see” features we can’t see in the visible part of the spectrum. In 1887, during his work on electromagnetism, Hertz reported another important phenomenon which was later called photoelectric effect. He shone ultraviolet light on electrically charged metal, observing that UV light caused the metal to lose its charge faster than otherwise. 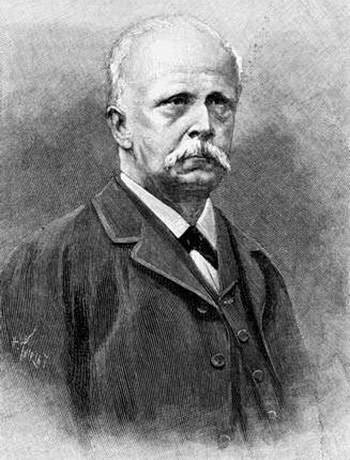 Hertz published his findings in the journal Annalen der Physik. He did not further investigate this effect. 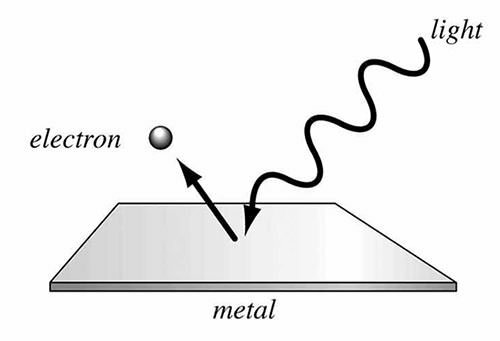 In 1899, J. J. Thomson established that UV light actually ejected electrons from metal. This led Albert Einstein to rethink the theory of light and, in 1905, he correctly proposed that light came in distinct packets of energy called photons. Einstein’s explanation of photoelectric effect led to the rise of quantum mechanics, a field in physics which describes nature at the smallest scales of energy levels of atoms and subatomic particles. Contact mechanics is the study of the deformation of solids that touch each other at one or more points. In 1882, Heinrich Hertz produced a pioneering work in the field of contact mechanics through his paper “On the contact of elastic solids”. He looked into the question: how large is the area of contact when two solids are brought in contact? This question is fundamental to contact mechanics and has interested scientists since Hertz’s pioneering work. The work of Hertz primarily summarizes how two objects, placed symmetrically around the axis and in contact, would behave on loading. The most significant failure of his theory is neglecting any nature of adhesion between the two solids. He did so as there were no methods to test adhesion at that time. Nonetheless, Hertz’s work in contact mechanics is immensely important to the field.